Hurricane Irma approaching Florida. Photo courtesy of Creative Commons. • Florida’s strengthening of its building codes in the wake of Hurricane Andrew’s damage in 1992 has made many buildings there capable of withstanding Category 5 winds. • Improvements to flood-drainage standards helped to expel water from areas such as Miami’s Brickell CBD. • Top office owners report that major Florida markets experienced only minimal building damage. • CBRE’s Asset Services division reports that 95 percent of the 240 Florida office buildings it manages returned to service 48 hours after the storm, following power restoration and minor damage repair. • The remaining 5 percent was operational within 72 hours of the storm. • There was little to no damage to major industrial portfolios, based on assessments by CBRE and major REITs. • All major ports reopened within two days of the storm. • Availability of industrial space is expected to shrink as building-supply companies and relief agencies get established. • Food and gas sales are expected to see dramatic increases over next two months. A short-term boost also is expected for big-box stores, home goods, building supply, discount and sporting goods retailers. • Damage to retail real estate was minor – felled trees, damaged signs, minor leakage – for areas other than Florida Keys and Jacksonville’s San Marco neighborhood. • Apartment demand is expected to increase significantly, given that most damage from Irma was to single-family residential neighborhoods. • Increased demand and construction-completion delays are likely to keep rent growth positive in Florida’s major markets. 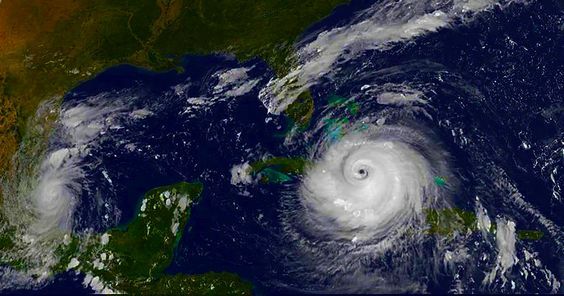 • Hotels in Jacksonville, St. Petersburg, Tampa, Fort Myers and most of Miami have reopened to accept guests. • Most hotels in Naples and Marco Island are temporarily closed while operators assess damage and make repairs. Officials hope to reopen hotels in the Florida Keys for the fall and winter seasons. • In other comparable U.S. disasters, stricken metro areas saw an increase in hotel-room demand of 10 percent to 40 percent in the first month after the event and 15 percent over the four-month period afterward. Miami likely will see largest increase in demand. “Florida significantly strengthened its defenses after hits from past major hurricanes, and those improvements were instrumental in helping the state weather this potentially devastating storm,” Levy said. “As a result, damage to Florida commercial real estate is relatively minor outside of the Keys. Demand for apartments and industrial space are expected to increase as the recovery effort progresses. Hotels in all but the hardest-hit areas have reopened, and the remainder aim to return to service before year-end.